I finally managed to get the second long ride I’d been meaning to do since moving to London done this weekend - London to Brighton. The Brompton club planned and rode this ride a few weeks ago, but I wasn’t able to make it, due to a last minute change of plans and trip to Dorset instead. 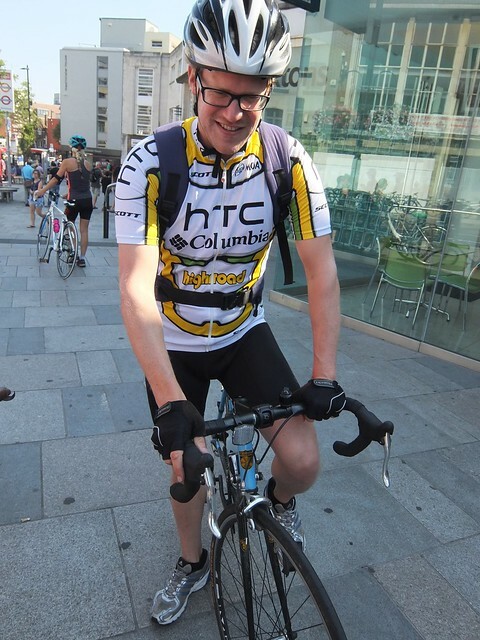 However, a group of work colleagues wanted to do a London to Brighton ride, so using the course that the Brompton guys had already ridden, I volunteered as ride leader. This would give me some good practise at leading with people I know before I lead the ride in September for the Brompton ride (to Cambridge again). An early morning start for me - up at half 6 to allow me to get to the meeting point at Richmond Station. 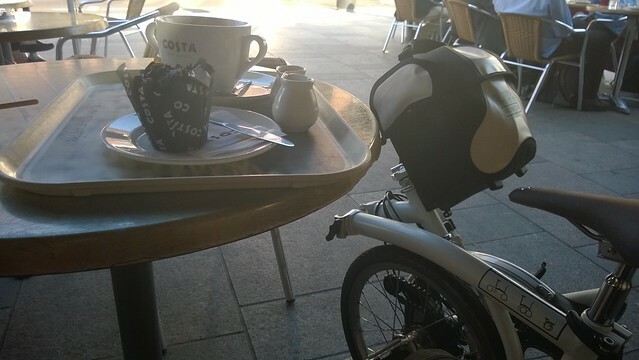 Ended up getting to the station somewhat earlier than the others, so I stopped for a tea and muffin to wait for them to arrive. I would be the only one completing the ride on a Brompton - all the others were on a road bike. I think they were perhaps a little sceptical that I would make it on the Brompton! I wanted to prove them wrong (I’d obviously done some long distance rides in the past, but not with my work mates). We left about 10 ish, and then headed out. The route was already planned, so it was simply a case of getting to Richmond Whole Foods and then following the route on my Garmin that had kindly been put together by David for the the LBC ride. We rolled through Bushy Park, which was lovely - I’ll be heading back again at some point to get some pictures and cycle through the park leisurely. Just outside Dorking and Reigate Road, we had our first (and only) instance of someone giving us grief - a driver wound down his windows and told us the junction said no right turn - indeed it did, however, underneath it states “Except Cycles”. He apologised and carried on - I was expecting more venom from him really but he admitted he was wrong and carried on. However, we ran into our first issue just outside Dorking where a couple of us crossed the road and headed off and then took the next turning, not realising the guys behind hadn’t crossed yet. They ended up cycling past us as we’d turned off. We ended up waiting for them to get back to us. They stopped at a Tesco and rejoined us. Continuing onwards, we made good time. About halfway, we stopped for a drink and ice cream at a village shop in Rusper, which conveniently had some seating outside we made use of. The day was roasting hot - we’d taken about three hours to get to this point with stops (well, we stopped here for a bit, it was about 3 hours and 15 minutes when we left Rusper). 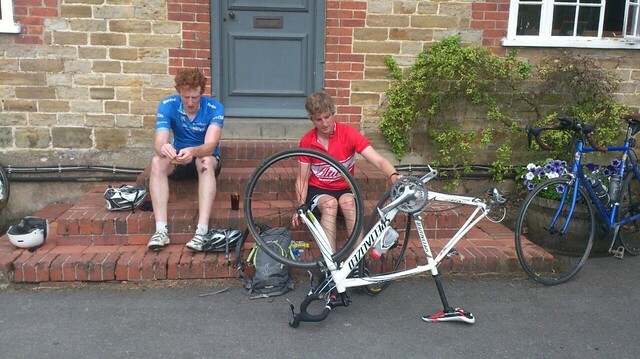 We ran into some technical issues after Rusper - cycling up a hill, one of the guys wheels dropped out of line and got stuck as his bike has horizontal dropouts for the wheels. 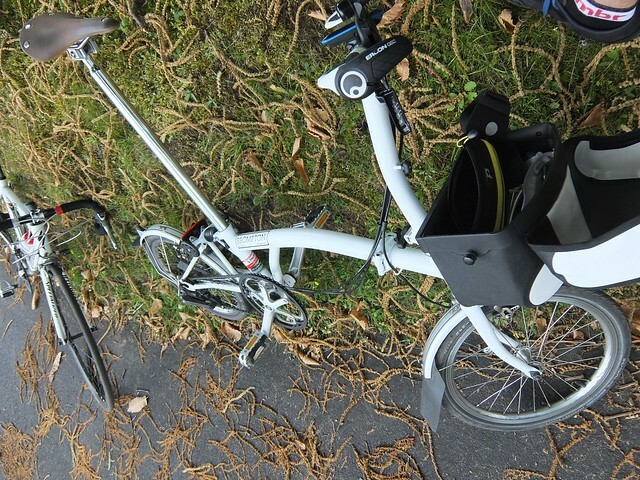 Luckily for us, as I’m riding a Brompton, I had a box spanner with me and was able to effect a roadside repair (undo wheel nut, put wheel back on!). If he was just with the others, his ride would have ended here as with all quick release wheels, they didn’t carry spanners. 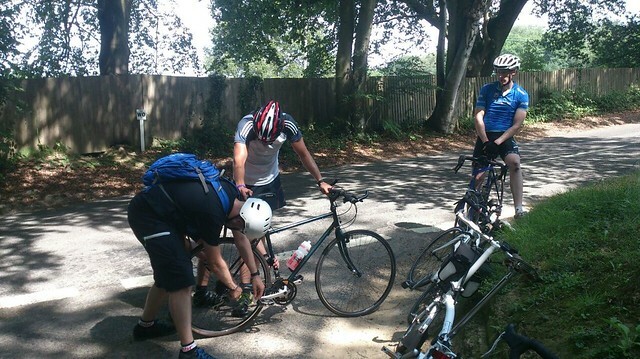 However, it wasn’t far before another technical hitch cropped up and we needed to stop to change a puncture. Conveniently, it occurred at a pub! A quick soft drink later, we got on our way - it wasn’t long until we got sight of Devils Dyke that we would have to climb. Approaching this looked like the wall from Game of Thrones! I’ve not done as many hills as I did last year - I think this was demonstrated in my climbing of Devils Dyke - I did however, make it without walking or putting a foot down (aside where we had to stop in the middle of the road to cross). The others sped off and left me in the dust! 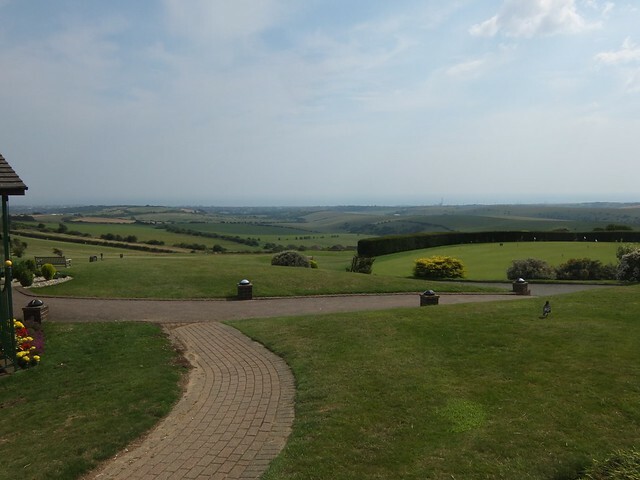 However, we took a break at the top of Devils Dyke and were greater with our first glimpse of the sea in the distance. Mind, to my eyes, it still seemed like we would have a full hills to conquer to get there! Thankfully, no, it was mainly downhill from there into Brighton! We got to the Pier - some of the guys decided to stay and go paddling, where as I decided to head back to London with one of the others. The weather was warm, the pace was pretty fast and for some reason I was drained - not sure whether this was due to a low pressure tyre (it was that sort of drag I seemed to be experiencing) or if it was just the hot weather. 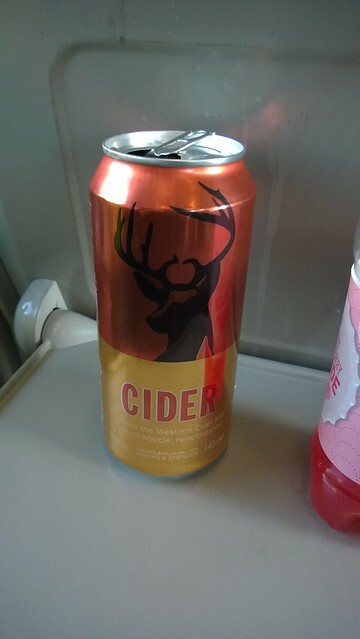 Incidentally, the cider was pretty tasty - a Westons cider brewed for Marks and Spencer - I was pretty impressed. It still took me ages to get home - almost as long on the train from Brighton to London Victoria as it was from Kings Cross to Hatfield, thanks to some delays and cancelled trains, meaning I had to get the (busy) all stops service! Made it home in the end mind. Overall, it was a cracking trip - took us longer than the 4 hours we thought (moving time was 4 hours, 30 minutes) with an overall time of 6 hours 18 minutes. Amazing how quick the stops build up! Something to bear in mind for the Cambridge trip in a few months. 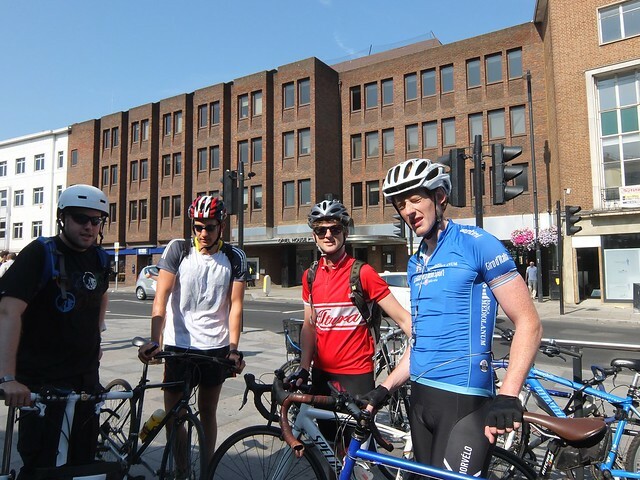 Would be nice to do another ride with the work mates - perhaps a London to Oxford one.